Adjustable center of the forming rollers and of sufficient length to prevent lateral movement of the strip on its entry to flattener. 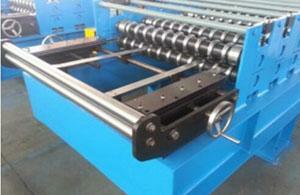 In the main roll forming machine have 2 buttons for urgency stop if happen any malfunction. 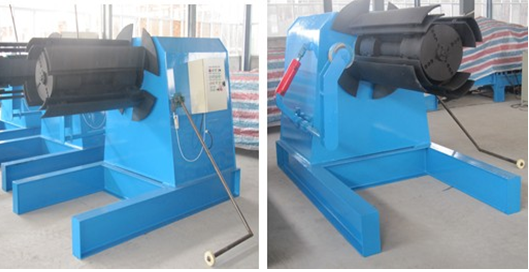 The punches will be connected to a single hydraulic unit having tank, motor, pump, pressure control valves, pressure gauges, solenoid valves, hydraulic hoses, all designed to operate safely at the required operating pressure; also to facilitate changing O-ring they must be of standard size, also consider suitable cooling unit. The whole punching operation should be automated and controlled by a program installed in the PC which is located in the operator's console. 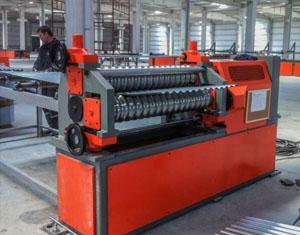 Cutting motion: The main machine automatically stops and the cutting will take place. 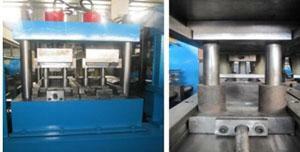 After the cutting, the main machine will automatically start. 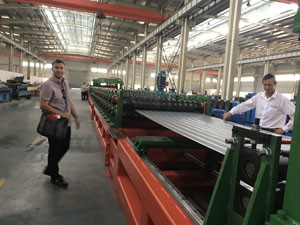 Unloading of the finished products (moving of the stack of finished products from the production line): mechanic, it will be possible to pick the stack using a fork-lift or in a similar manner ( fork-lift will be provided by customer).